Creative Microsystems is a leading edge R&D, fabrication, and production company nestled in the scenic heart of Vermont. We have rural roots, and global reach. Working with clients from around the world in private and public sectors, CMC has made a name for itself with inventive solutions and quality results. We pride ourselves on having a diverse team with big capabilities, all while enjoying the incredible Vermont scenery and quality of life. We are always looking for creative and talented individuals, so please peruse our current openings below, and if you think are a great fit, we’d love to hear from you. Our small teams are talented, nimble, and work in close collaboration with each other. We are truly interdisciplinary and have experimentation built into our bones. And our small team has produced projects from one of a kind prototypes to multi-million dollar production contracts. Led by inventors and innovators, Creative Microsystems does not let a small footprint stop us from leading the field in technology. We have great talent and modern facilities that keep us ahead of the competition. Tired of hectic, expensive city life? The Mad River valley is a bright jewel in the already beautiful state of Vermont. 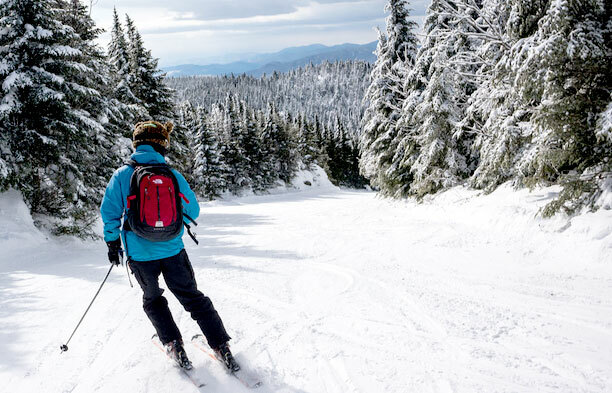 Nestled in the heart of the state, it has two world-class ski resorts minutes away, the friendliest neighbors in the state and is a short drive from both our state capital and the cultural hub of Burlington, VT.